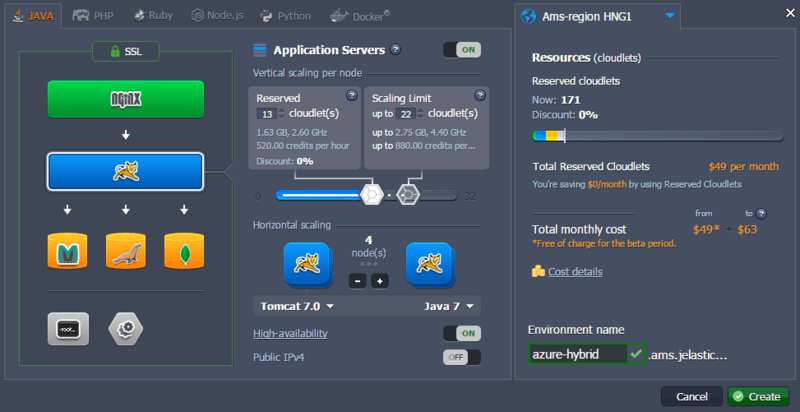 Jelastic Virtual Private Cloud and Hybrid Cloud are now Microsoft Azure certified and available to hosting service providers, ISVs, systems integrators, outsourcing companies and enterprises in the Azure Marketplace. Alongside PHP, Python, Ruby and Node.js, Jelastic provides enterprise-grade PaaS for Java and Java EE, bringing first-class support for these Enterprise languages that are demanded by Microsoft customers. Today, Jelastic is available as a public cloud solution via 36 cloud hosting service providers across the world. A seamless Hybrid Cloud integration is advantageous for these partners who have their own data centres, but who want to offer cloud resources/services from different locations (regions) for their customers. It’s also ideal if they have customers with temporary needs for a large burst during the load spikes and they do not want to invest in additional hardware. From the beginning, Jelastic has been the pioneer PaaS using containers virtualization technology for application deployment, lifecycle management, scalability and ZERO CC (zero code changes) approach. In addition, Jelastic provides unique automatic vertical scaling for all application containers with load spikes and variable loads in general. The platform provides the fastest and most agile deployment models, flexible scaling for stateless and stateful applications, collaboration and access control tools, billing and business analytics tools, while driving down TCO with high density and hardware utilization. 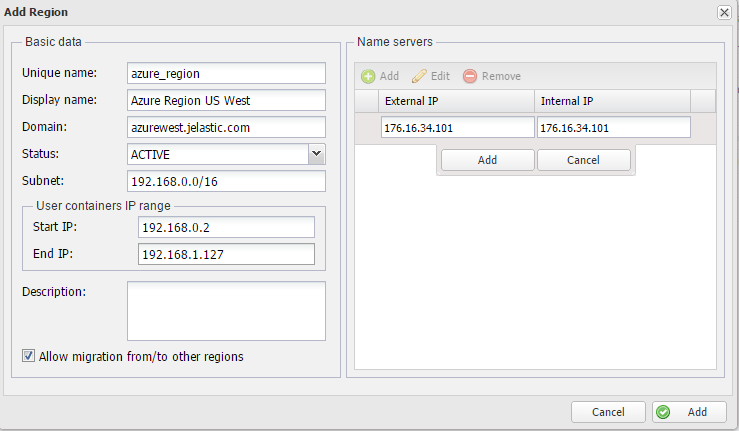 To access extra regions for your Jelastic Cloud at Azure, simply follow the instructions below. You can find more about Azure storage in this article. 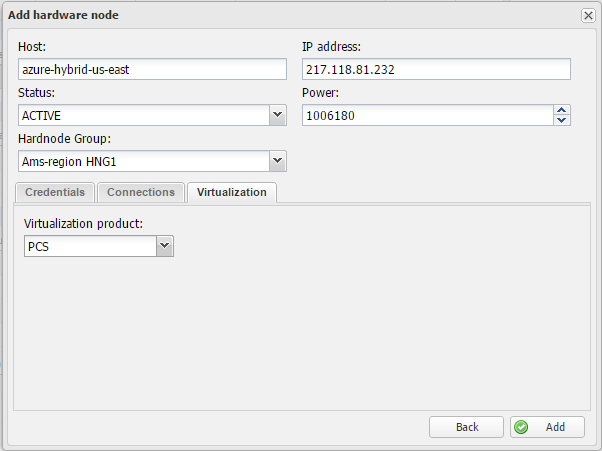 Create SSH pair according to this manual. Save your private key, as it will be required later. JELASTIC_DOMAIN=”<domain name chosen for Jelastic cluster>"
JELASTIC_USERNAME="<email address that will have administrative permissions>"
$vNetName = "Group jrelease jrelease"
# Required instance size for the VM template. Recommended  values are Standard_D4, Standard_D12 and above. $osMediaLocation = "https://" + $osStorageAccountName + ".blob.core.windows.net/vhds/" + $osMediaName + ".vhd"
$cred = Get-Credential -Message "Type the name and password of the Linux account." Delegate the domain name of your Jelastic instance to the Public IP addresses of Azure VMs with your deployed Jelastic cluster using the hints below. Note: Make sure you DON’T have the SOA record for jelastic.primarydomain.com zone on your DNS servers – otherwise the delegation will not work. 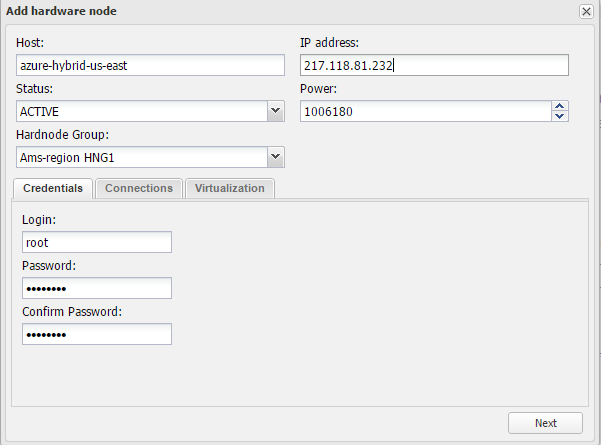 Log in to your Jelastic Cluster Admin panel on behalf of the user that has PLATFORM_ADMIN permission. 3. 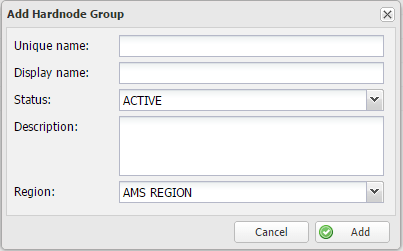 Select just created region and Add hardnode group providing it with a Unique name. 5. After adding Jelastic Azure VM as a new region, you will be able to select it in the Jelastic Dashboard to locate Jelastic containers there. And you’re done! Now you have a fully manageable and highly available Jelastic cluster that can be scaled up to hundreds of servers. Enjoy and please provide feedback in the comments about your experience using Jelastic Cloud.